this weeks kitty photo friday is gonna be short and sweet as im traveling and recovering from a crazy week. 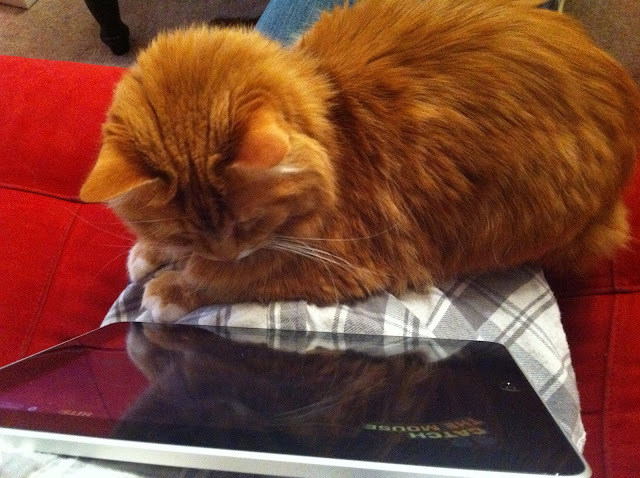 i must say that i love my iPad – i really do. it’s been awesome to have around and its so fun to use. and yes – the cats are still loving their apps. like i said, i’ll be in new orleans all weekend – out in the sun. what are you up to? i know it’s spring break for a lot of the schools in Nashville, is it for you?